Feel the rhythms, move your body and become a dancing star at the luxury all-inclusive AAA Five Diamond Grand Velas Riviera Maya during the resort's premier Dancing Week. 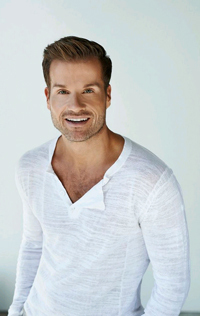 From June 4-8, 2014, three-time World Dance Champion and "Dancing With The Stars" favorite, Louis Van Amstel will lead a program highlighted by three partner-free LaBlast dance fitness classes. Also included in a four-night LaBlast Retreat hotel package are luxury suite accommodations with complimentary upgrade to the next suite category and meet and greet with the dance teacher and Emmy nominated choreographer. Guests can experience the resort's five gourmet restaurants with a complimentary culinary tour, including Cocina de Autor, the resort's restaurant featuring contemporary and creative cuisine, which won a second consecutive AAA Five Diamond Award in 2014, making it the first all-inclusive restaurant to ever receive the honor. All-inclusive rates include luxury accommodations, guaranteed ocean view, a la carte gourmet meals at a variety of specialty restaurants, premium branded beverages, 24-hour in-suite service, fitness center, taxes, gratuity and more. The LaBlast Retreat at Grand Velas Riviera Maya starts at $299 per person, per night based on double occupancy and requires a minimum stay of four nights. Guests can treat sore muscles and further pamper themselves with a treatment at the Grand Velas Riviera Maya Spa, which was named "Best Spa in the World" by Virtuoso. At more than 90,000 square-feet, the Leading Spa of the World is the region's largest spa sanctuary and includes equal facilities for men and women. Guests can try the Therapeutic Velas Mayan Massage (50 or 80 min, $206 or $310), which integrates different massage techniques ranging from relaxing to toning, as well as aromatherapy and massage oils, to treat any part of the body at the request of the guests. Included with every 50-minute treatment or available for purchase separately, is a Signature Water Journey, an hour-long relaxation ritual using seven specially-design water-based facilities to unwind before a treatment. For more information or reservations, please call 1-888-407-4869, emailreservations@grandvelas.com, or visit www.grandvelas.com.